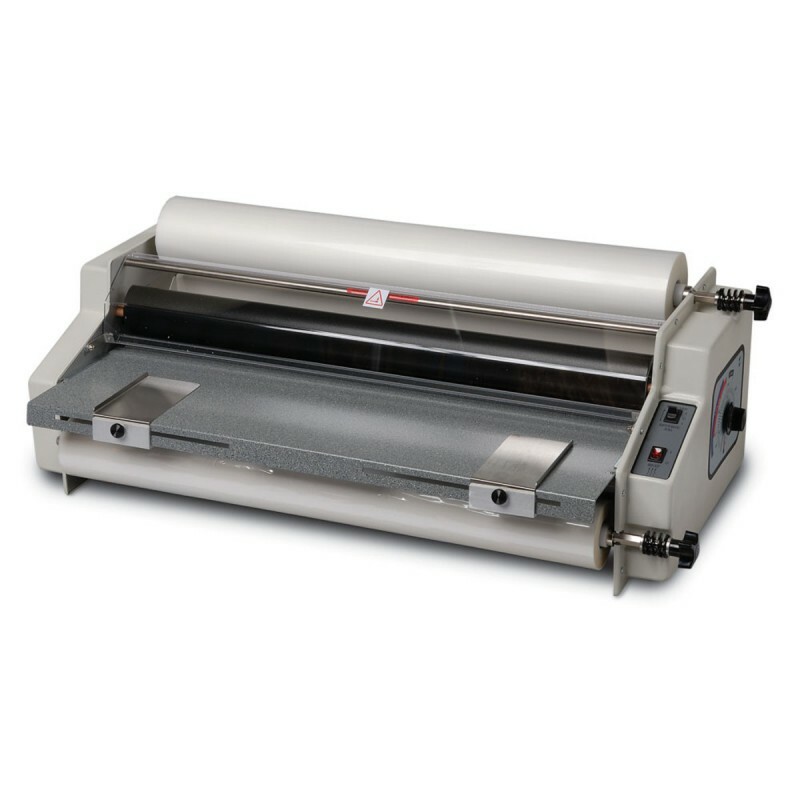 A 25 inch School Laminator that's reliable, user friendly and provides you with low maintenance value. Ledco's Educator comes with a 2 year Factory Warranty and an instructional video that will help you learn how to use your laminator in a safe and productive manner. Teachers and media specialists were asked what they wanted to see in a laminator ... and they told us! And that got designed into the Educator! We created simplified controls and an improved film path to eliminate many of the operator errors common to using thermal laminators in the school environment. Teaching aids of all types, posters, dry erase charts, flash cards, bulletin board graphics, games and visuals represent a tremendous investment, whether they were purchased, or made by teachers. Protecting and enhancing these educational materials with lamination allows them to last for years instead of being replaced every few weeks or months. The Educator offers the control needed to laminate different types of materials using different films with a minimum of operator adjustments and experience. School may purchase their laminating supplies using a purchase order. Please see our purchase order page for details. No Sales Tax. Oregon carries no sales tax and you can save when purchasing supplies from our Oregon based business. Preset lamination pressure and speed - Makes the machine easier to use and eliminates many possible sources of problems. Enclosed laminating and pull rollers - Helps you avoid time-consuming jams and wrap-arounds. Forced air cooling - Allows laminating with 3 and 5-mil films, as well as the 1.5 mil film often used by schools. Without a film cooling system, thicker films will warp and ripple because they are still hot and partly melted when they come out of the laminator. Fixed-position lamination rollers - Provides a stable platform for uniform roll pressure which provides the highest quality lamination available in a school laminator. Attached safety shield - The safety shield is fixed to the machine and is placed so that the operator will naturally put it in the guard position before laminating. The shield is made of clear polycarbonate so users can see their work and will not be tempted to try to laminate without the shield in its safe position. Reverse switch - Can be essential at times to help avoid problems or clear miss feeds. Adjustable heat control - If you have used a kitchen oven, you'll feel comfortable with our heat control dial. It allows you to use films up to 5 mil. Pre-heater: Allows the roll laminator to be used for dry mounting, pouch laminating, or making transparencies from glossy printed graphics without a copier. also permits the use of rigid back "display mount pouches" and thicker pouches such as 10 mil. A pre-heater will dry mount or laminate much faster than a platen press.